We, Unison Metals Limited, are a reputed firm engaged in exporting, manufacturing and supplying Stainless Steel Kitchen & Table Ware. 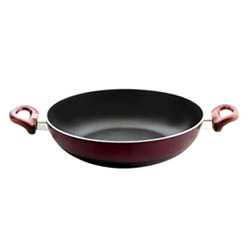 Offered range is known for its precise design, resistance, rust and flawless finish. Unison Metals Limited is one of the credible organizations engaged in importing, manufacturing, supplying and exporting a premium quality array of Stainless Steel Kitchen & Table Ware. Patrons widely admire the offered stainless steel products as these are manufactured by making use of high grade raw material, sourced from the well-known vendors of the industry. After the completion of the production process, we make these stainless steel products pass a quality check so as to ensure their flawless finish, precise design and durability.